At Primary Residential Mortgage, we are dedicated to providing the very best home loan experience possible for our customers. That’s why we’re happy to announce that one dozen PRMI loan officers have been recognized nationally for the outstanding customer service they provide to their customers. PRMI loan officer Kaley Giessing, ranks in the top 10 on a list compiled by online marketing firm SocialSurvey. In the top 50 are PRMI loan officers Billy Leopold, David Lesjak, Jim Conway and Steve Wilcox. In the Top 100 are: Craig Pollard, Jeff Senker, John Thomas, Jon Wald, Kyle Travers, Lane Baron and TJ Jager. To compile its list of the top 100 U.S. loan officers nationwide, SocialSurvey collected feedback from 200,000 customers of 20,000 loan officers. We know that a happy work environment and a great customer experience go hand-in-hand. When we enjoy what we do, it’s easy to deliver a knockout experience. Learn more about what makes PRMI such a great place not only to get a home loan but to grow your career. Thinking of waiting another year or two to buy a home? If home prices and mortgage rates increase in the next year or two, home buyers could end up with significantly less buying power than they have today. 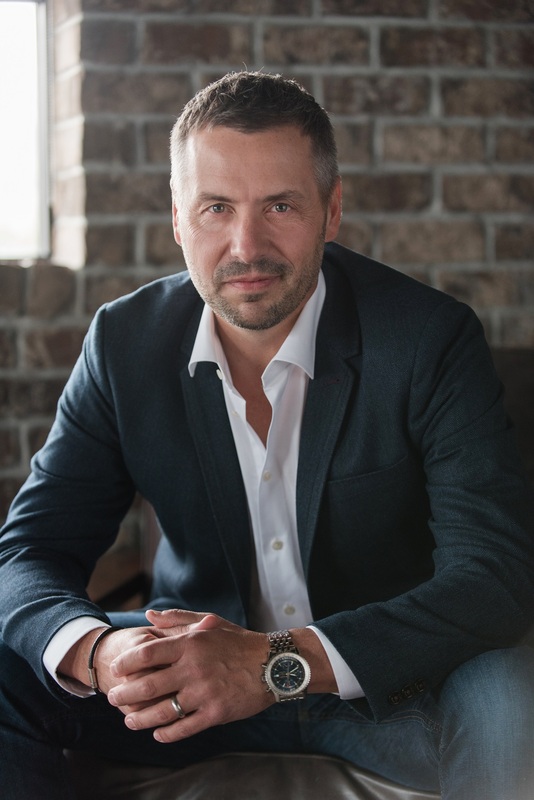 There are, of course, many other factors that come into play in the decision to buy a home, such as how long you plan to stay in your home, the stability of your job and how much money you’ve saved up for a down payment. As an industry leader, Primary Residential Mortgage has helped more than 225,000 valued customers achieve the American dream of homeownership. As mortgage professionals, we make home buying easier for you with our broad range of custom loan programs. It’s tax season again, and many Americans are getting tax refunds. Big refunds. According to the IRS, the average U.S. tax refund is more than $3,000, with some families getting thousands more. A large refund could be a nice addition to a downpayment savings fund. If you haven’t started saving for a home yet, it’s a great way to get started. How much do you need to save? Visit us and we’ll crunch some numbers for you. Surveys show that many first-time home buyers overestimate the amount of money they need to be able to buy a home. The median U.S. downpayment last year was 10 percent, according to the National Association of Realtors. There is a variety of low-downpayment and even some no-downpayment home loan programs available that can help reduce the amount of money you’ll need to bring to the closing table. If you’re ready to take the next step toward owning your own home, work with a team that can provide the personal attention you deserve. At Primary Residential Mortgage, we’ve helped more than 200,000 borrowers fulfill their dream of home ownership. We’d love to help you, too! Are you planning to move this year? 2018 is shaping up to be a big year for interstate moving activity. But where are people moving to — and from? That’s a question that can be answered by the United Van Lines’ Moving Study. The 41st annual report by the nation’s largest moving company tracks state-to-state migration patterns. According to the company, the top inbound states in 2017 — where most people are moving to —were Vermont, Oregon, Idaho, Nevada and South Dakota. The survey includes people moving for employment and for other reasons, such as retirement. Markets ‘in balance,’ meaning that there’s about the same number of people moving in as are moving out, include states such as New Hampshire and Nebraska. Illinois, New Jersey, New York, Connecticut and Kansas are the five states with more people moving away than moving in. For more information about the study, go to this link. Are you planning on making a move this year? With more than 280 locations nationwide and growing, Primary Residential Mortgage is probably somewhere you want to find us. Should you continue to rent a home in 2018 or is it time to buy? Your job situation plays a big role in that decision. How stable is your employment? Buying could make more sense right now if you aren’t thinking about switching jobs, your employer is not reducing its workforce or if your company isn’t planning to move you to a different city or state. How long do you plan to remain in your home? Generally, the more time you plan to live in a home, the more sense it makes to buy. 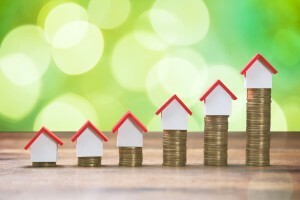 The U.S. Breakeven Horizon, compiled by real estate website Zillow.com, is designed to provide an estimated number of years one needs to live in a home for buying to make more sense than renting. Factors such as expected growth in rents and home values, price-to-rent ratios and mortgage interest rates are included in the analysis. Nationally, that figure is 1.8 years. For more information about the Breakeven Horizon, go to this link. While a variety of factors may influence the buy-versus-rent decision, there’s one that continues to make buying a home so attractive: Low mortgage rates. Take a look at average mortgage rates since 1971 and you’ll see that today’s rates are extremely favorable. Low mortgage rates help families stretch their home buying dollars. Did you know that numerous studies over many years show a link between owning a home and happiness and overall well-being? 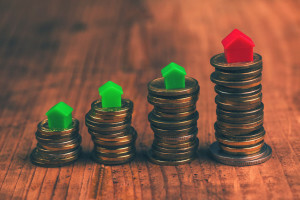 The most recent one, from the Consumer Financial Protection Bureau, shows that homeowners generally have higher financial well-being than non-homeowners. 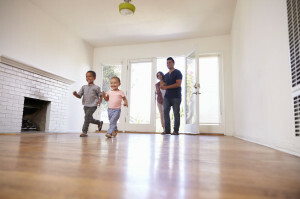 At the very least, buying the right home can be a key ingredient in being happy, according to a report by HomeAdvisor. The company’s research in the area has found that homeowner happiness boils down to an affordable and comfortable home in a safe and connected neighborhood and with a reasonable commute. Good things to keep in mind during your next home search. Housing inventory is expected to increase. Strong demand has depleted the inventory of available homes in markets throughout the country. The association projects U.S. year-over-year housing inventory growth to enter positive territory by fall 2018 for the first time since 2015. That’s good news for home buyers. Most of the inventory growth is expected in U.S. homes priced above $350,000, followed later by lower-priced starter homes. Price appreciation expected to moderate. U.S. home prices are forecasted to slow to 3.2 percent growth year-over-year nationally, down from about 5.5 percent in 2017. Appreciation likely will end up being highest with lower-priced entry-level homes, which continue to be in extremely high demand. Millennials will be a bigger part of overall home buying activity. Millennials are on track to comprise about 43 percent of home buyers taking out a mortgage by the end of 2018, up from an estimated 40 percent in 2017. Their influence on the US. housing market is expected to grow in the coming years. Demand is pushing home sales higher in the South. Cities such as Tulsa, Okla.; Little Rock, Ark. ; Dallas; and Charlotte, N.C. are expected to see home-sales growth of 6 percent or more, compared with 2.5 percent nationally. Uncertainty surrounds tax reform. Tax reform could have a positive effect on housing in some respects, not so much in others. Stay tuned. Years ago, jumbo loan rates were higher — sometimes much higher — than rates on traditional or conforming mortgages. Today, rates on both types of loans are near historic lows. Recently, the difference in rates between regular (conforming) and jumbo (nonconforming) mortgages has been minimal. On some days, the rates for jumbo loans are even lower than those for conforming loans. A nonconforming or jumbo mortgage is a type of mortgage that has a balance that is above the limits for government-sponsored loans. In most parts of the country, any loan for a single-family home greater than $424,100 is considered to be ‘jumbo’. (Some high cost-of-living areas, along with Hawaii and Alaska, have higher thresholds.) 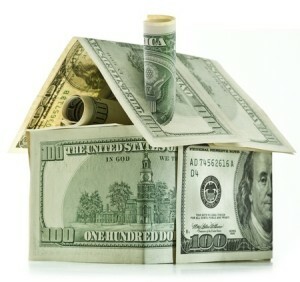 Jumbo loans are useful where real estate is expensive or for home buyers who want to purchase a higher-priced property. Jumbo loans can be either adjustable rate or fixed rate mortgages. Qualifying for a jumbo mortgage, however can be a bit more difficult. Generally, you’ll need a credit score of at least 700. The required downpayment is typically higher with jumbo loans than with traditional mortgages. Questions about jumbo loans? At PRMI, we have answers! Once again, Primary Residential Mortgage, Inc. has been recognized as one of the top places to work in Utah by The Salt Lake Tribune newspaper. This year, the publication named 70 companies and organizations in the state to its annual list. Companies are ranked based on employee input. This year, PRMI is ranked No. 4 among large companies, up from No. 8 last year. Teamwork. At PRMI, we believe in the power of teamwork. Working together gives our customers better results than we could ever achieve individually. Stability. Our decisions are deliberate and careful. They have to make sense today and tomorrow. Advocacy. We believe that what’s good for our customers is good for us, too. We are allies for our customers—advocating for sensible laws and stronger accountability. Empowerment. When we are empowered, we do more—for each other and for our customers. We take charge of each situation with a solutions-oriented approach. Integrity. A dedication to a high level of business ethics guides all of our decisions. When we act with integrity, we build trust by always making the right choice, regardless of circumstance. Excellence. The pursuit of excellence is a guide to our true potential. We seek to be better, smarter, and more effective people—for ourselves and for our customers. Happiness. 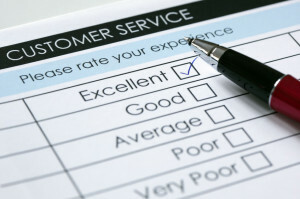 A happy work environment and a great customer experience go hand-in-hand. When we enjoy what we do, it’s easy to deliver a knockout experience. For more information on the newspaper’s annual ranking, go to this link. You want a fixed rate home loan. 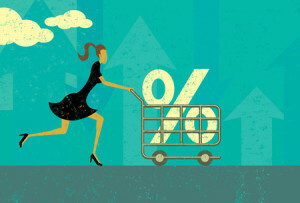 When you purchased your home, you took out an adjustable-rate mortgage. But you plan on staying in your home over the long term and want the predictability of a fixed-rate home loan. You want to get rid of your monthly mortgage insurance payment. Generally, private mortgage insurance is required with a down payment of less than 20 percent. In some cases, though, if you have increased your home equity past the 20 percent mark, refinancing can help you get rid of your monthly mortgage insurance premium. It all depends on your home value as determined by an appraisal and your outstanding mortgage balance. You want to tap your home’s equity. Depending on the amount of equity you have in your home, you may be able to ‘cash-out’ of some of your equity during the refinancing process. You want to lower your monthly payment. If today’s mortgage rates are lower than when you purchased your home, you may want to refinance to lower your monthly payment. It’s estimated that there are millions of homeowners with higher-rate mortgages who could save money by refinancing.